Image courtesy of Allison Michael. You lucky bloggers are in for a treat since i’ve got a whole bunch of Kathleen Hanna’s, of Bikini Kill and Le Tigre fame, B-sides and rareties which were mostly recorded during her time in Bikini Kill. I’ll warn you in advance ‘Rockstar’ and ‘Heartbeat’ are a bit weird. The Wondertwins were an experimental project who were Kathleen and Tim Green, from Ulysses I.O.U. It was recorded for the famous Embassy Tapes, which also feature Bratmobile’s first recording, in Olympia during riot grrrl in 1991. 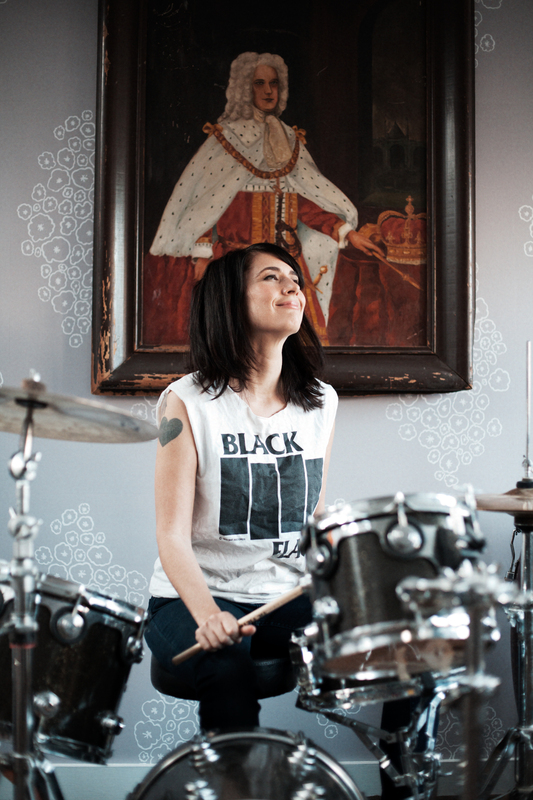 Hanna collaborated with Joan Jett for ‘Go Home’ and also featured on Atari Teenage Riot’s ‘No Success’. I’m not sure where ‘Mr Magazine man’ is from or who she is singing with, so if someone could help me that would be great, thanks. Viva Knieval was one of Kathleen’s first bands that she sang with. They released a limited EP, titled ‘Boy Poison’, toured America for a few months and then broke up. Tags: bikini kill, kathleen hanna, le tigre, viva knieval, wondertwins. Bookmark the permalink. mr magazine man is actually a song by the band hazel, and it doesnt have kathleen hanna in it, but the singer from team dresch! Well isn't my face red. Thanks for that though, I've been looking for info on that song for ages. Hope you still enjoyed the mixtape x.x.x.